CrypKey Instant is a proven encryption tool that protects your software against illegal copying and unauthorized use. It’s a software-based solution, which means customers who use your CrypKey-protected application do not require a hardware key (i.e., a dongle). CrypKey Instant protects your software in mere minutes; no new software code or changes to your source code are required. 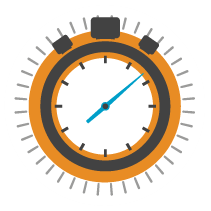 Once configured, CrypKey Instant’s protection takes effect in less than 30 seconds! And you don’t need to worry about your employees being stalled or interrupted by pesky administrative policies. Your CrypKey product is made to provide the user access you need.